Opportunity for outstanding business development manager. 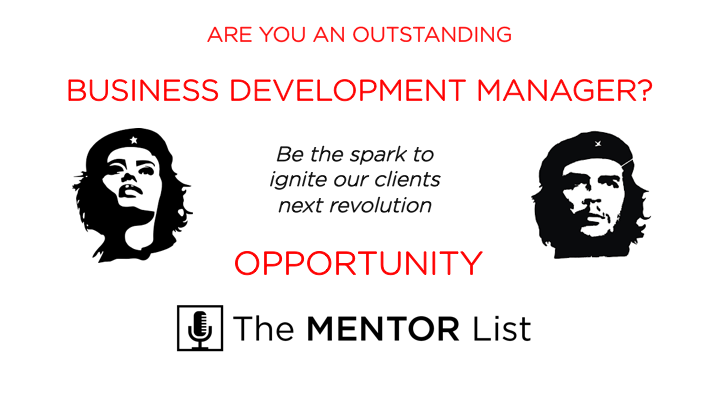 Do you know of, or are you, an OUTSTANDING BUSINESS DEVELOPMENT MANAGER? We want to talk to you! We are looking for self motivated individuals to ignite the initial spark and curiosity within businesses and thought leaders to create their own movement supported by the fastest growing digital medium – PODCASTING. If you know of a great BDM tag them here or private message me. So what is a movement? Well, to put it briefly, it’s about helping a thought leader or brand figure out how to spark a movement. And it works. For all kinds of individuals and brands. Never before has the speed to market ability to create a deep and lasting connection been possible. We provide a ticket to play by providing access and execute proven strategies. Ask yourself this question: “Could I be the start of the next movement?” Full time, part time or casual we are interested in the right individual and business outcomes. If you’d like to know more email me at dave@mentorlist.com.au and we can begin to discuss how this position is right for you and well placed to leverage the growing trends and help businesses realise their potential.